This will be an unashamedly geeky post, but a couple things recently have made me ponder the future of online gaming and where we might see things going. As much as it may not seem it with the various glitches and bugs that seem to haunt our existence on the Frontier we're entering what I think is going to be an exciting time for gaming over the web. Online gaming is a much different beast now than it was ten years ago. For as long as there's been computers and the World Wide Web there's been gaming on it but in the early days it's fair to say it was the realm of the nerd, the geek, people like me in fact. It tended to expand upon social gaming already in the "real world", role playing on tables with hand painted figures became role playing on a computer with a "skin" you've designed yourself. Then came the three things I think changed it, World of Warcraft, Second Life and Facebook. 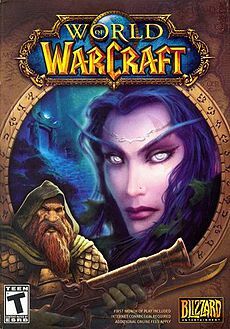 World of Warcraft (WoW) first drove the idea of an MMORPG (Massively Multiplayer Online Roleplay Game) into the mainstream in a way none had before, it put the idea of playing online into the heads of new crowds of people. Second Life gave people the understanding of social networking in more than just text form, creating an avatar that would be a digital you. Finally, the one most readers of this will be interested in, Facebook came at the whole thing in a completely different direction. Whereas other platforms like WoW and Second Life gave you a game and told you to go find a social circle, Facebook gave you a social circle and told you to go find things to do with them. Now, we're in a world where online gaming is huge business, be it console games with a multiplayer or online section such as Call of Duty or Little Big Planet, or companies like Zynga who are based solely on non-traditional gaming platforms, online and mobile. So, past and present, but what about the future, especially for us in Frontierville/Pioneer Trail? What could we be seeing as the game and the systems continue to evolve. Unsurprisingly the two biggest question marks for me surround the two biggest areas of contention when it comes to issues and problems in the game. The first question to ask is where we'll even be playing the game. More and more games are being ported over to Zynga.com now. Although YoVille somehow beat us on the last vote it's probably not going to be long before we see the game over on Zynga's own site. But will we always see this double-networking that we see right now, or are we going to see a separation between the two companies? We know, and a lot of current problems are proving, the digital communication between Zynga and Facebook is often at the root of many issues. Gifting, requesting, neighbours... it's all times when the Zynga system needs to communicate effectively with the Facebook one. It's feasible we may soon see Zynga.com rise up as a social network in it's own right, although there's positives and negatives for that. Although it may give more game stability as we see a single in house system running everything, Facebook has the infrastructure in place for such a massive network. There's also the fact that Zynga games work on viral marketing, Facebook posts being seen by friends or requests sent to people who don't play games. On the other hand, Zynga.com would be gamers, it would be a pure demographic. Instead of annoying your friends who hate gaming, it would be shooting fish in a barrel on Zynga.com, you've got just people who are gamers, nobody else. Arguably Zynga are now so prevalent in the online gaming market that it's hard to think of anyone who wants to play that doesn't use at least one Zynga game. Add that to the fact non-gamers will likely hide and/or block games and you do wonder if Zynga's efforts are better spent avoiding trying to recruit people with no interest and instead looking at osmosis bringing players from other games via cross promotion and posts on a Zynga-only social network. Could they drag people away from Facebook which has become so much a part of our lives though, do we play the games because we're ON Facebook so much? The question of whether they could make people think Zynga.com first is the million dollar question, maybe literally as the freedom of their own network would raise the Zynga profit margins without FB dictating how in-game purchases are made and taking their cut. Of course, there's also the fact that adding people you don't know is actually both a cornerstone of gaming and against Zynga's ToS... This could solve that issue. Answer our question on where YOU'D like to play. Secondly, we have to look at a more technical aspect, in what shape will the game exist? This comes from a much more recent and topical news story in the geek-press that I read. As most folks know, Frontierville uses the Flash platform to build and deliver the game. That, in itself, is a problem as Flash has long been known to be unstable and problematic, although for so long has been the only possible solution for the types of games we play, nobody has really been able to come up with a competing platform. Now that's changing with the onset of HTML5, a new language online that is already replacing Flash in many areas, YouTube for example now has an HTML5-based test up. Next up is games. Although opinion is divided about HTML5 and it's abilities to handle games it's getting a big push right now with many companies creating game tools to help design HTML5 fun, for examples see PocketGamer news about PlayCanvas and Gamemaker: Studio. Now, however, we've seen potentially the biggest hit to Flash. It's one thing when folks in other companies look at other options and diss products, a whole other thing when your OWN company does it. We all know Apple devices have never allowed Flash for a few reasons but one of the most public was due to instability and unreliability. However, anyone with an Android tablet or phone could download a Flash Player and plugins that would allow you to use Flash on your tablet, you could even play games on it if you didn't mind horrendous lag on most devices. Now, that's changing. Adobe, owners of Flash since 2005, have announced they're going to stop supporting Flash on Android devices, saying they're going to be looking more into HTML5 and their own latest entrant, Adobe AIR. Yes, true, this is the mobile market... but many of the problems, instability and high memory usage, cross over into PC gaming just as much, especially as PCs become more reliable and have longer lifespans. How often do we have to clear Flash Caches? How many issues have been down to PC performance and heavy Flash usage. Heck, the entire recent market issue shone a light on that as a problem, the better your PC, the more memory in particular, the less likelihood of a crash with the market. If HTML5 takes off and proves itself to be more reliable and stable than Flash, how long before developers begin to port games across? Zynga have shown in the past they can see which way the winds are blowing, and if HTML5 will cut down those Support tickets I don't doubt they'd look at the possibility of a platform change. Suffice to say, if the game changes it'll be another fun decision, do they go the Mafia Wars route and create a whole new game, potentially losing players, or do we see our current homestead in a slightly different form? I think it's obvious which would garner the most support from players so we'd have to wait and see. I must admit right now I can see both the development of Zynga.com as a network, and the rise of HTML5 meaning a change in our game. I wouldn't be in the least surprised if we're playing an HTML5 based version of the game on Zynga.com in a year or two. All in all it's a frustrating and exciting time for online games, especially ours. Frustrating because there's so many problems, but exciting because the future could hold some interesting, and issue-stopping, changes. Facebook has already made it harder for us to play games requiring "begging" from neighbors. It seems that they don't really want the gamers. Zynga as an independent game site...why not? The challenge will be to "move" gamers simply, easily and efficiently to the site. Enjoyed the read. Thanks for the info. Your post could not have been more timely! We are in the process of upgrading our cell phones to iPhones and had been hearing the debate between androids and iphones. now that i'm hearing adobe is dropping support for flash on androids that seals a deal that was already pretty sealed anyway. as far as FV and other games, i'd love to see them migrated to html5. 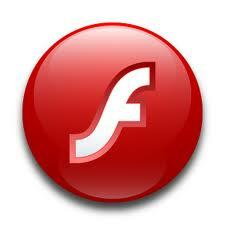 flash was just not built for gaming; it is being stretched beyond its limitations. 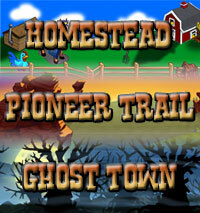 i've been seeing a few of my FV neighbors migrating to zynga.com for other games. my concern is the transfer of updates from FB to zynga.com and vice versa. if i play on one can i be guaranteed that is i go to the other everything will be as i left it on the other platform? i'm waiting for a comprehensive write-up of how this will work and how to maneuver around a game in zynga.com (exactly what are zfriends? what happens when i make a request? who can answer whose requests?). if this exists already please point me at it. i learned quite a bit from your post; it is much appreciated! The info used for the game between Zynga and FB is exactly the same, no info is kept on Facebook, when we load the game it accesses Zynga's servers for our game progress etc, Facebook just acts as a frame. Playing the game on Zynga.com just means accessing the same information, even the same basic game files, just from a different site, like watching the same TV show on different TVs. zFriends are basically the same as Facebook friends, and you have a similar feed to FB where the requests will pop up. Unfortunately for you guys the problem is that you treat gamers like gamblers in all the wrong ways. Trying to drag out FV like its World of Warcraft is such a mistake in my opinion. I'm sure in the short run it works but 2 years down the road Zynga is going to be in trouble. Of course Zynga is trying to draw traffic to Zynga.com so that you we spend our money cut free there. But games made Facebook, and I dont think they would like to see the traffic generated go away. I certainly would not visit Facebook so often without the games, but without Facebook I would never have started to play the games. It's an interesting thing to see play out over the next couple of years. Good luck with that! 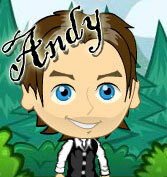 Just got through reading your interesting "essay",Andy and I thought it very concise and food for thought! I just want to play this game for fun.It's somewhat challenging also! But gee, I hope it doesn't get so complicated that it becomes such a chore instead of enjoying it for what it is! Thanks for writing this! I hope PT does move to Zynga.com. I already Play Cityville on there and it would be much easier. I do have alot of Facebook friends who dont play these games and they do get abit annoyed.. I dont want it to be about money though.. although it wouldnt bother me paying a small subscription to play, which is usually the way if playing outside of FB.. But i dont like the idea of having to buy horseshoes and other stuff all the time!! And one would hope the game would become more exciting to play.. At the moment it is loosing its touch.. Alot of people are seeing the game as a daily "chore"
But my vote goes to Zynga.com.. And for posts not to go to Facebook at all! !